Western South Dakota finally got some serious cold settle in. As I write this it is a -10F and snowing. We are headed for about -13 tonight, -15 tomorrow night, and single digit minus on Monday. Then it starts a slow climb into highs in the mid 20's and low 30's. Our cattle are in good shelter and have lots of feed and lick barrels so they will be okay. On the the plus side we only got about 3" of snow and the wind has stayed pretty low all day. we have similar levels of cold (5-10 degrees warmer) in Ks -- but no snow to make it more bearable. Central FL is 50 with no wind. Yeah, we got -30 up north of me about 30 miles. About -7 here today. No wind. Had a lot of layers on and was comfortable out working on the tractor. Got a foot of snow and looks like another 6 inches in the last four hours. More coming Monday night too. We got the wood stove cranking and the furnace still kicked on, set at 72*F.
It's not too bad here in northeast Nebraska right now, but the real chill starts Sunday and overnight into Monday morning when they're predicting lows of -24. The weather dude on TV said it's much warmer now in Murdo, Antarctica, Barrow, Alaska and some city that I forgot the name of in Siberia. Had to put on socks with my flip flops. I don't even own a pair of flip flops but could use them two, maybe three, times a year. been shoving wood in the stove all day it seems. i feel it's going tobe a long one. Here it might get to zero, up into the thirties during this snap. Not too bad. The cold can be uncomfortable at times, but that's how life goes. To me, there are few things better than the feeling you get from working outside in the cold, and coming in to a nice warm house. If there's a fire it's even better. It's a special kind of tired, there should be a name for it. About the closest I get to flip-flops are my pile-lined RealTree camo Crocs. NOBODY wants to see MY toenails! If I'd have lived back in Jeremiah Johnson's time, my toenails would probably have ended up in Chris Lapp's necklace collection! I went out about noon today to run the vehicles. going to gharge up the tahoe, when it's done then the tractor. last night and this morning was damm cold, funny thing winter is just starting. oh boy. -15F last night. 24" of snow since Christmas, 8" Friday night alone. I was going to start a "Winter of 2017" thread, but I'll just rant here instead. We old pharts kinda' remind me of old dogs that come in from the cold all gimped up and chewing at ice-balls between our toe pads while watching the exuberant young pups rolling, diving and and jumping through the new powder. It went up to a minus 5 F and now has sunk back to a -10 F. It is headed further down tonight into the mid-teens. The good news is the cows seem pretty happy, the stock tank heaters are doing their work, and the wind isn't blowing. The weather-dudes are still sticking to their earlier predictions of an air temperature of -24 for tonight, but with the attendant 13 mph wind-chill factor, it will seem like -45. The former recorded low for tonight is -20, so we are likely to break a low temperature record. Tomorrow is Heather & my 30th wedding anniversary.....gre at 'cuddling' weather. Thirty years of wedded bliss! It's been unusually cold for my area since the week before Christmas, day time temps in the lower twenties and dipping to the minus single numbers overnight, we've also had a lot of wind which really drops it down with wind chills, but last night my wife pointed out some of the temps in the western and mid western states going down to -40 and I felt guilty for complaining about our mild zero temps. The up side is we've only gotten a few inches of snow so far (knock on wood) and as of today there's only about eight more weeks of hard winter left until the warmer March winds bring in the Spring. We got to a balmy -25 F last night with no snow and no wind to speak of. At 7:00 AM it was still -24 F but the cattle were all in the sheds and the water didn't freeze. This should be the end of this current cold snap and over the next few days we will climb above freezing for a week of so. Hurrah! We've ranged from +15F to -15F since Christmas. I have about 4" of ice on my mobile's flat roof under about 9" of compact snow, and already sprung 4 leaks. I'm not a happy camper. We took my sister-in-law to the airport @ 4AM to catch a 6AM flight in -24 temps this morning. It's now 11AM and since they couldn't de-ice the plane in those conditions, she has been waiting in the terminal since 5AM. We just now got a text message from her saying they are still unable to get the plane de-iced, so we have to drive back down to get her.......that means getting up @ 4AM again tomorrow morning to make another stab at it! I should have known.. January is too soon for spring.. Four days ago I was having high 40s, almost all of my snow was gone and I was thinking about putting the brush hog on the tractor and heading out to mow my pastures, this morning my brush hog is partially buried in snow. Not much future in mowing right now. ..
We are smack dab in the middle of a full-blown NEBRASKA blizzard right now! I can't tell how much snow we've had because the 32-35 mph winds are drifting it too much to measure with any real degree of accuracy. Probably at LEAST a foot.....maybe more. There is a 4 foot drift in our driveway right now. Temperature isn't bad, though (28 degrees), but the wind makes it feel much colder than that. Up 'til last night, we've only had an inch or two of snow all winter, but it has been WAY colder this year.....broke several records in -28 to -30-something range. There's no reason to go outside, that I know of.....or would even want to imagine, so back to reading a good book that Heather gave me Christmas before last. Not bad here, the snow is melting out of the trees and I can hear it on my porch roof. About 38 with rain in the forecast. I had this warning in the header when I opened my national weather page.. "Significant winter storm to bring heavy snow and ice from the Plains to the upper Midwest, Great Lakes and New England"..
Life is better in the West...! Gotta love Nebraska winters! I went through 4 of them. Had to move to Alaska for relief. Gotta hate 80F in January. I need a few freezes to kill off all the creepy-crawlies, and flying pests. Well we dodged this last storm but did get a lot of rain. Temps are 35 to 40 in the day and 15 to 25 at night. Supposed to get a little colder next week. We have gone well over 100 days without any meaningful precipitation, it is bone dry. We have not escaped the cold but cold without moisture is hateful. Today it did not get to 40 degrees and a constant wind makes work miserable. This is a crappy winter and most likely a crappy summer with skies filled with smoke and wildfire keeping me from enjoying my favorite season. We are way over due for a bad fire season i am willing to bet dollars to donuts that is the year. Max talks about 80 deg in January, but you Suthun' Boys would go nuts seeing us up here running around in T-shirts at 34F. Heat wave!!! The Weather Dude said we recieved 14" to 15" of snow in this last 'event,' but some of it will melt during the coming week when it gets up into the 40s. Right now, ALL of the highways are closed up here in the northeastern part of the state. I-29 is closed from Sioux City to Sioux Falls, too. Good night for a Roku movie and popcorn! I had more snow in the forecast but it did not happen, the snow forecast is now for rain, then snow, then rain and snow..for the next seven days.. The moisture is good for my pastures. It is 32 here, the mud is frozen just enough to drive into the places I need to go to check stock tanks so I am happy this morning. We have another 4-6" forecast through the weekend. Hope I can get the snow blower through the ice berms. I woke up this morning to more snow.. Lots of folks are suffering with this winter and unfortunately this is probably just the beginning. We have been subjected to three decades of global warming propaganda based on junk science or down right political agendas. The absolute main driving force in our planets climate is the sun. There is historical proof that increasing levels of CO2, are a result of increased average temperatures and not a cause. I have been monitoring solar activity and ocean temperature for the past eleven years, the warming is over we are headed into a major solar minimum. The sun goes through an eleven year cycle, that cycle rides on a 200+year cycle, when the the two cycles crash, we have little ice ages. We are headed toward that low in solar activity. I heard a really good lecture by a British physicist, back in 1997 or 98. He was warning of the same thing. I found this video today that I think that any one living in the Northern half of the US should view and then plan accordingly. for the last seven years or so we have wittnessed wild weather. snow in the amazon rain forest snow storms in north africa. undersea volcanic activity, the pacific ring of fire very active. huge uptic in earthquake activity, all related to the suns magnetic reversal. lack of sun spots for long periods.i believe we have already entered the iceage. 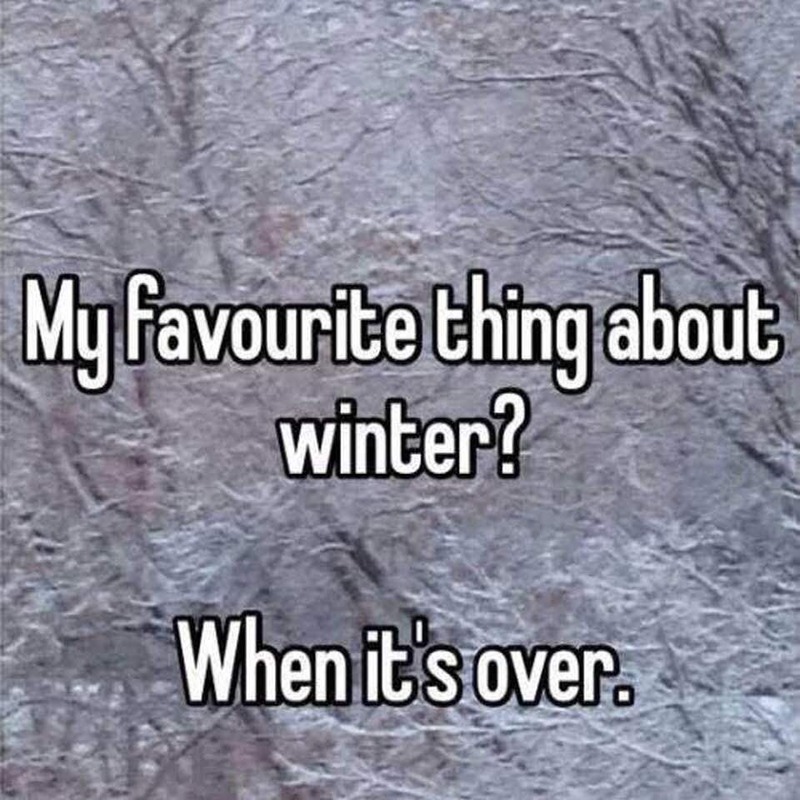 longer winters shorter summers, winter jumping into summer with no real spring. of an impending ice age, and no i don't mean in a hundred years either. I know that the citrus groves in FL have given up north of a steadily falling freeze line. One of Kelly's favorite smells was the orange blossoms. No more here. Great whites have been tracked swimming off the FL beaches. I never heard of that until recently. I surf so I would've at least heard rumors. Solar cycle 22 was quite high, 23 considerably lower, 24, the one we are in now, lower still, the low point of this cycle is predicted for 2019 or 20. The scientists that are monitoring solar activity are still not sure about the mechanisms of the long cycle. When it was first proposed we did not have very good monitoring equipment. That has changed a lot, from ground based telescopes that are dedicated to that task to satellites, two such are Stereo A and Stereo B which are in orbit around the sun, one monitors the Earth facing side of the sun, the other the side facing away. The sun takes roughly 14 days to make one rotation. Some of the thought behind the two satellites is that if there is a potentially dangerous solar storm we will have some warning. A truly large solar flare directed at the Earth, can wipe out communications and the power grid. Upcoming cycle 25 will give some indication if we are continuing into a deep minimum like the Maunder Minimum, that produced the little ice age from 1645 until 1715. Another factor is the effects of solar heating on ocean currents, and how that affects the deep ocean currents. Climate and what drives it is a pretty complex science, the prime driver is the sun. Another poorly understood component of space weather is the increase in solar wind caused by coronal holes, these may also affect our climate, and are more prevalent during solar minimums. For now the best bet is for more intense winter weather at least until the next cycle. Cold air moved in today. One of those miserable winds out of the northwest and about 30 degrees F. Now it is still windy and the temp has dropped to 10 above. Here we go again. Temperature drops from 41F to 15F in about two hours and it is snowing hard with a bit of wind out of the east. No motorcycle riding for me I guess. At 6:00 AM we are at a minus 12 F and it has quit snowing. 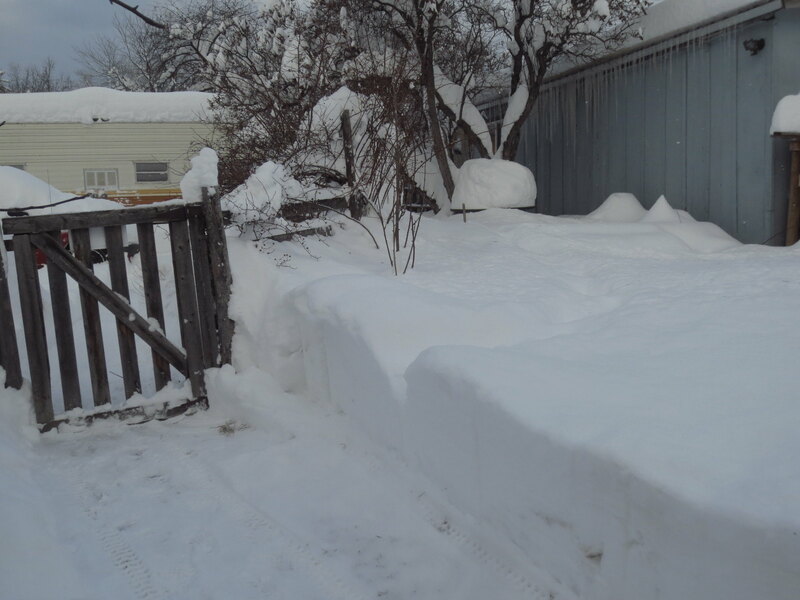 Lots of two foot drifts but the snow is soft on top and you only get a mild heart attack from shoveling. Stock tanks are still open and the cows are all in the windbreaks. Beautiful morning but we have more snow on the way. I cant imagine what that is like, if that happened here everything would shut down. The nice thing about NM is the snow stays in the mts, when it does snow. +25F this morning. Looks like we dodged the bullet...again. Our forecast 6-7" has been downgraded to <2".